Round Ten sees all five Australian teams taking on opponents from other conferences, and with it represents a great chance for our sides to fire back at the critics following a few tough results recently. Friday night you can send the kids to bed early and settle in as the Force host the Bulls at 9pm, before a Saturday triple header kicks off at 3:15pm as the Rebels look to retain their place at the top of the Australian conference with a visit to Eden Park. Following that, the Brumbies take on the Highlanders in Invercargill, in the deep south of New Zealand, before the Reds host the Cheetahs at Suncorp Stadium at 7:30pm. Finally, if you’re still up and about at 3:15 on Sunday morning, the Waratahs head to Cape Town to tackle the Stormers. As per usual, with thanks to Opta Stats and @OptaJonny, we previewed the round ahead purely by the numbers in this week’s edition of Stat Attack. Give The Rugby Union Players’ Association (RUPA) a ‘like’ on Facebook here. The Western Force host a Bulls side who haven’t lost since the opening round of the Super Rugby season and are fresh off a bye, so right from the get-go it’s a tough assignment indeed. They’re ranked 6th for both points and tries per game as well, putting paid to the myth that they are only capable of playing ‘boring’ Rugby, although they haven’t won in Perth since 2010. The Force can’t catch a break this year, with Peter Grant joining the likes of Nathan Charles, Pek Cowan and Jono Lance on the injury list, but with injuries come opportunities and it’s great to see Ammon Matuauto named for his Super Rugby debut and Harry Scoble (pictured) named for his first start among seven changes made by Head Coach Michael Foley. The Force offloaded effectively last week against the Waratahs but failed to make many effective breaks (8), and while their scrum was good they struggled at times with their lineout. The good news is that in their last 8 matches at home against South African opposition, the Force haven’t conceded more than 10 points in the opening half, and they kept the Bulls try less when they last visited in 2014. Dane Haylett-Petty remains in the competition’s top 10 for both carries and defenders beaten, Matt Hodgson remains the top tackler in Super Rugby and the recently-recontracted Adam Coleman remains in the top 3 for lineouts received. Ben McCalman was busy with 13 carries last week while both Kyle Godwin and Ryan Louwrens provided spark off the pine; look for them to enter the game earlier in Round Ten. The Rebels find themselves in an unfamiliar position this week, at the top of the Australian conference following last week’s bonus point victory against the Cheetahs at AAMI Park. It’s a great place to be as they head to Auckland looking to secure just their 2nd ever victory in New Zealand, and 3rd outside of Australia. That may make for tough reading however they’re also on the lookout for their 4th win on the road in 2016, which would be a franchise record despite the competition only just reaching the halfway point; these guys have learnt how to make every flight a ruthless business trip, and will be confident that they can inflict defeat on the Blues for the 3rd time ever. Off the back of a 23-18 win against the Sharks in Round Eight and a bye last week, the Blues will be looking for consecutive wins for the first time since 2014. They’ve lost just 2 of their last 8 matches against Australian opposition and have won their last 4 home matches against Australian teams. In the absence of regular propping pal Laurie Weeks, ruled out due to a hamstring injury, Wallaby Toby Smith will be looking to continue his form from last weekend as he returns to his former home country. Smith was pivotal to the Rebels’ dominance at the set-piece against the Cheetahs, forcing a competition high four scrum penalties and winning all five scrums on their own feed, while he also made the most run metres by a prop in Round Nine. Jonah Placid was impressive at fullback for the Rebels last week, scoring a try and making a couple of clean breaks, while Jack Debreczeni had 2 try assists to his name as well as 11 points as he edged into the competition’s top 10 point scorers chart, but arguably the star of the show was first year player Reece Hodge (pictured). Hodge, who started at outside centre for the first time in his Super Rugby, recorded a whopping 139 metres from just 9 runs, including 2 line breaks, 5 tackle busts and 2 tries! He has remarkably featured in every backline position bar scrumhalf for the Rebels this year, and he and midfield partner in crime Tamati Ellison will be relishing taking on Blues star George Moala and rookie Piers Francis. Can the Rebels show the rest of the competition that they’re made of stern stuff on what’s looking like a dry Saturday afternoon in Auckland? The Brumbies welcome back David Pocock but lose Stephen Moore and Joe Tomane to injury as they head to New Zealand’s deep and chilly south. By 7:35pm NZ time on Saturday evening it’s predicted to have dropped to around 12 degrees with a bit of light drizzle; me, I’ll take the warmth of the couch thanks! The Brumbies are coming off a heavy defeat at the hands of the Crusaders on ANZAC Day where they will admit they conceded too many penalties (11), missed too many tackles (25) and conceded too many turnovers (17); it was un-characteristic, and you’d be a brave punter to bet on them doing it again this weekend, despite the toughness of the conditions. They’ve been in New Zealand for a couple of days ahead of this one, basing themselves in the thrill-seeking capital of Queenstown which makes it slightly more understandable that deputy rake Robbie Abel has put his honeymoon on hold to cover Moore’s absence! Allan Alaalatoa, Josh Mann-Rea and Ruan Smith make up a new-look front row, while Nigel Ah-Wong comes onto the bench after being busy as a replacement in Canberra on Sunday. 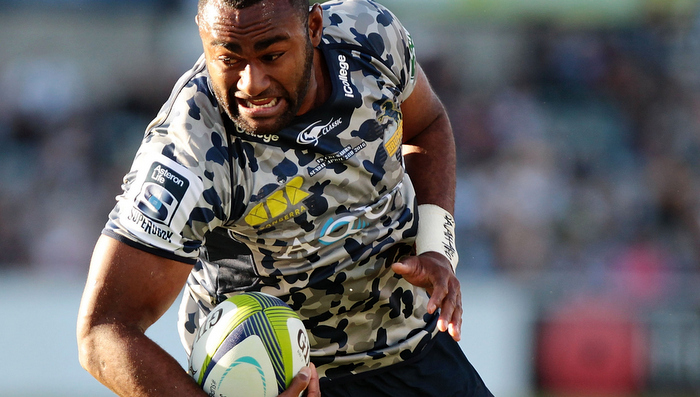 Tevita Kuridrani and Aidan Toua did a fair bit of the grunt work with plenty of carries and defenders beaten against the Crusaders, and up against the likes of All Black stars Malakai Fekitoa and Ben Smith will need to replicate that effort again here. The Highlanders have lost their last 2 matches, to the Sharks and Reds, and the Brumbies have won 3 of their last 4 trips to New Zealand to face them, so this represents a perfect opportunity for a turnaround in form from the men who’ve led the Australian conference for 8 of the 9 weeks this season. The Reds will be happy to be home in Brisbane after a tough fortnight in Pretoria and Cape Town, where they illustrated continued improvement but were unable to maintain the intensity with the Bulls and Stormers for the full 80 minutes. Plenty of Reds players have returned from the Republic with their reputations enhanced and the boys from Ballymore will be viewing this as a great opportunity to make it two in a row on home turf, following that great upset victory against the Highlanders in Round Seven. The history books are on their side as well; they’ve won 5 of their last 6 against the Cheetahs, outscoring them by 70 points during that time, and they’ve never lost to the Cheetahs in Australia. Their scrum matches up nicely as well, tracking at 95% in comparison to the visitors’ 73%, the least effective in the competition. Curtis Browning had his best Super Rugby game yet last weekend, matching both Eto Nabuli and Samu Kerevi with 3 clean breaks as well as averaging nearly 10 metres per carry, winning a turnover and tackling at 100%. Kerevi is becoming a victim of his own good form in that we barely blink an eyelid now when we see he made the most runs (21) and run metres (195m) by any player in the competition during the round, as well as having 8 tackle busts and 2 offloads, while Nabuli is becoming increasingly impressive and scored his first Super Rugby try to head back to Australia with plenty of confidence. Add Liam Gill’s 15 tackles at 100% and Karmichael Hunt joining Nabuli with his first Super Rugby try, as well as the luxury of an unchanged side, and the Reds look poised for their second win of the season here if they can stick to the script. Finally to the wee hours of Sunday morning, when the Waratahs must attempt to become just the 2nd team (after the Sharks) to knock over the Stormers on their own turf in 2016. The Stormers have won four of their last six matches against the Waratahs, including a 32-18 victory in their last encounter, and in fact have lost just 4 of their last 21 matches on home soil against Australian opposition. You have to go back to 2006 to find the Waratahs’ last win at this venue, when Chris Whittaker, Sam Norton-Knight, Morgan Turinui and Daniel Halangahu scored tries to pinch it late, but they head into this game hot off a big win in Perth and looking to find the consistency that’s alluded them so far in 2016. One of the features of that performance was the ground gained by the backs as they looked for space, with Rob Horne, Andrew Kellaway, Nick Phipps and Reece Robinson all averaging close to 10m per carry and combining for a total of 231 metres between them. Bernard Foley kicked brilliantly, tallying 19 individual points to nearly double his season tally, while the locks and back rowers combined to miss just 4 tackles for the game between the 7 of them; that’s sure to please Daryl Gibson. Is it a daunting challenge? Yes. Is this Waratahs side capable of winning? Absolutely! There’s continuity in their team selection (just the one change). Their scrum was really good in the west, an area where they’ve improved markedly to now sit 8th in the competition at 89%, while they’re ranked 4th for both metres made and clean breaks despite being one of the teams keenest to kick in Super Rugby, with 24.1 out of the hand every week. I’d suggest that if you can’t watch it live you do your best to wake up on Sunday morning, turn the kettle on but your phone and computer off, and watch it on replay; this’ll be a cracker. Former Wallaby Owen Finegan opens up about Round 1 of Super Rugby, and his impending Trek 4 a Cause. We speak to Dewet Roos about becoming a Classic Wallaby, and his Rugby journey thus far.